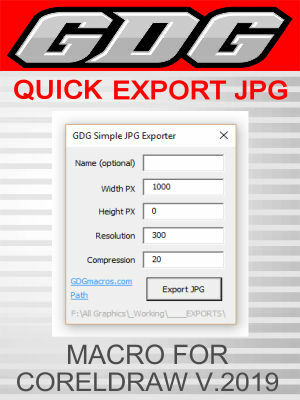 A very simple macro for CorelDraw v.2019 to export JPG images quickly. I use by assigning to hotkey Ctrl-J and often export my JPG files to the same folder. Open-source, so you can modify this very basic macro. Does not include an icon.